Five decades after her debut poetry collection, Firstborn, Louise Glück is a towering figure in American letters. Written with the same probing, analytic control that has long distinguished her poetry, American Originality is Glück’s second book of essays—her first, Proofs and Theories, won the 1993 PEN/Martha Albrand Award for First Nonfiction. Glück’s moving and disabusing lyricism is on full display in this decisive new collection. From its opening pages, American Originality forces readers to consider contemporary poetry and its demigods in radical, unconsoling, and ultimately very productive ways. Determined to wrest ample, often contradictory meaning from our current literary discourse, Glück comprehends and destabilizes notions of “narcissism” and “genius” that are unique to the American literary climate. This includes erudite analyses of the poets who have interested her throughout her own career, such as Rilke, Pinsky, Chiasson, and Dobyns, and introductions to the first books of poets like Dana Levin, Peter Streckfus, Spencer Reece, and Richard Siken. Forceful, revealing, challenging, and instructive, American Originality is a seminal critical achievement. 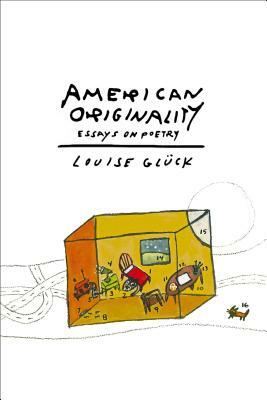 Louise Glück is the author of more than a dozen books of poems and a collection of essays. Her many awards include the Pulitzer Prize for The Wild Iris, the National Book Critics Circle Award for The Triumph of Achilles, the Bollingen Prize, the Los Angeles Times Book Prize for Poems: 1962-2012, and the Wallace Stevens Award from the Academy of American Poets. She teaches at Yale University and lives in Cambridge, Massachusetts.